Source: Huge thanks to Pansing Distribution for the review copy in exchange for an honest review. The Night Tiger is set in the 1930s in Malaya. To be precise, in Perak. 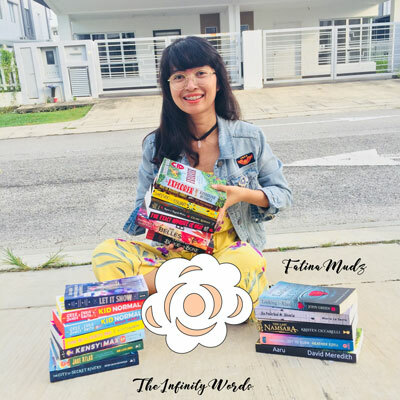 The story revolves around 2 main characters - Ren & Ji Lin and other characters that eventually connected with each other. 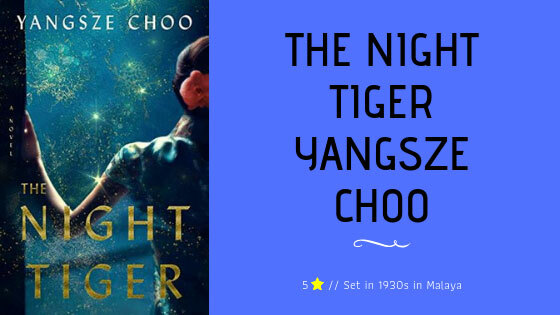 The Night Tiger is cover with mystery, secrets, mystical, superstitious and ancient Chinese folklore also romance plus a were-tiger. The story plot centered on a severed finger from Ren's previous Master that he needs to get them in the short period of times in 49 days and to be buried it together with his Master. However, to get that severed fingers, there's a lot of obstacles that not only Ren but Ji Lin need to face with the severed fingers that fall on different people along the journey. The Night Tiger is set around Perak - Taiping, Ipoh, Falim, Kamunting with the mention of Changkat (my dad's born place) makes me SO excited and it set in the 1930s. I feel like I could see it with my naked eyes of those places during that year. I could really imagine the place vividly through the author words. There are 5 characters, 5 Confusion Virtues that their fates are intertwined together in this story, however, there's something wrong in one of them. Ren, the young boy who worked with William Anton after the passing of his previous master. He is an obedient, intelligent young boy and he has a mission need to be fulfilled in 49 days. I adore Ji Lin's character. She is intelligent, brave and a bright woman. During the year in the 1930s, a woman is not really encouraged to further their studies to the higher level which what had happened to Ji Lin. Although she was sad, however, she decided to be a dressmaker and do a part-time job at May Flower Dance Wall in secret. You know why she did in secret when you read the book. With additional romance between Ji Lin and Shin (her stepbrother, not related by blood at all) both of them have fallen in love, however, resisted by Ji Lin's mother because for her that doesn't look good at all and people will talk about it. Eyqa (The Hundred Pages) told me that it is okay for them to get married since they are no blood relation between them so, I was relieved to hear that since I so ship both of them really hard. This is my first time reading a book written by her and her writing really makes me feel like I was there following Ji Lin's journey and witnessing all those things together with her and other characters which are so amazing. In the same way, she puts me at the edge of the seat every single time like there's something awaiting and I have to prepare myself, my heart and my mind to know what happens next. Not only that, reading this book has given me those eerie feelings especially the moments both Ji Lin and Ren enter the other world met Yi over there through dreaming and that feels real. Also, the giddy, sweet moments between Ji Lin and Shin love blossoming that put a really wide smile on my face. In conclusion, The Night Tiger is truly a remarkable book which I am so enjoying it from the first page until the end of it and how it put me on the edge of my seat one after another obstacle they have to face to get the severed fingers back to the rightful owners and the twist and turn of the story with a shocking scenes from people whom I have a least suspicious. Plus with the were-tiger story, the ancient Chinese folklore and the superstitious and the pantang larang which is something I could never put it off my mind. Thank you, Yangsze Choo, for writing such an amazing story. 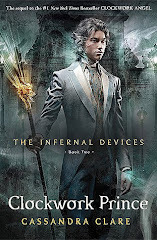 With how the story put together, the descriptive prose - it was really fascinating and I love it.